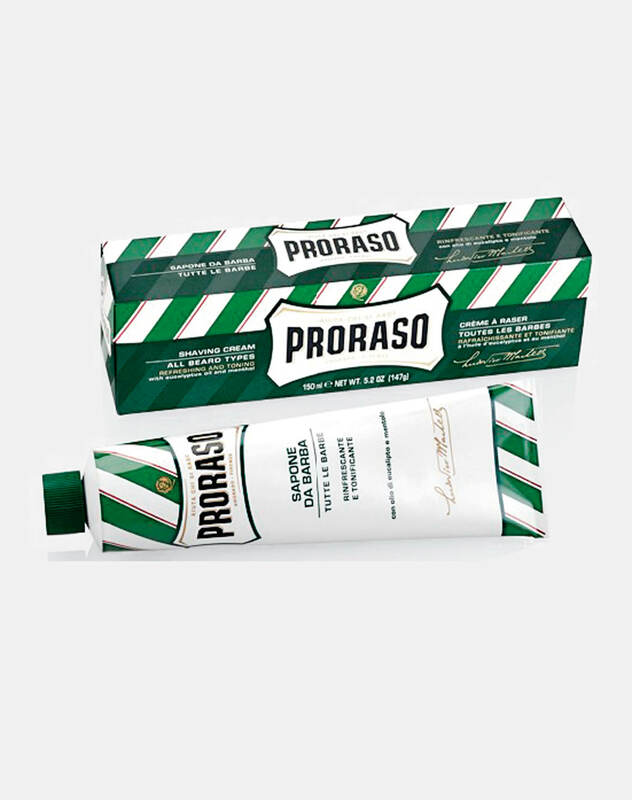 Founded in Italy in 1948, Proraso began as a single product: the eucalyptus-and-menthol-based miracle cream, crema miracolosa, that could be used both before (to soften the skin) and after (to calm irritation) shaving. Today, Proraso has the grooming routine covered from pre-shave to aftershave with their burgeoning range, from the red collection for coarse hair, the white collection for sensitive skin, and the hydrating blue collection. Each collection offers specialized products alongside Proraso’s classic green collection, now expanded to include seven items. Proraso’s signature stripes continue to dominate shelf space in barbershops and bathrooms around the world.